Tobey Maguire says he hasn't spoken to producers about starring in "The Hobbit." 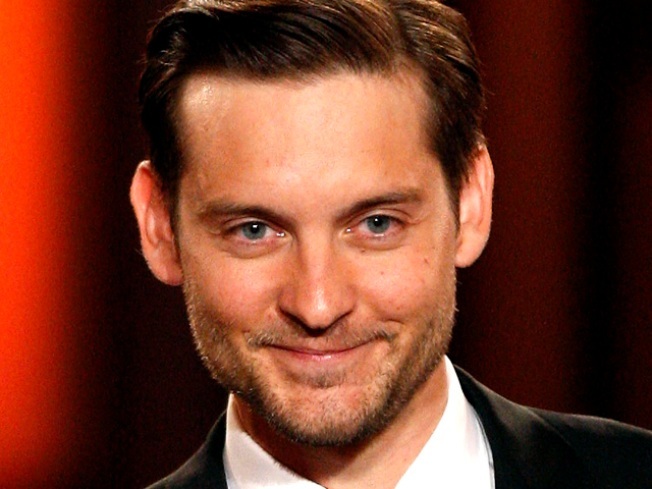 Hot on the heels of his Golden Globe nomination this morning in the Best Performance by an Actor in a Motion Picture Drama category for his portrayal of a presumed deceased Marine who returns home from Afghanistan to his family in "Brothers," Tobey Maguire talked to Access Hollywood about his excitement on receiving the nomination. He also gave an update regarding one of the hottest rumors making the rounds on the Internet right now: Reports over behind the scenes talks regarding his possible casting as Bilbo Baggins in "The Hobbit." "I have not met or spoken to Guillermo del Toro or Peter Jackson or anybody. Nobody has given me a script or approached me about it," Maguire said of any first hand contact he may have had with the director and executive producer team of the big screen adaptation of the prequel book to the "Lord of the Rings" trilogy. According to an online report on Latino Review, which was subsequently picked up by multiple other Web sites including Ain't It Cool News, Dark Horizons, and Movieline, a source at CAA (Maguire's talent agency) confirmed that preliminary talks were taking place between the agency and the film's producers for the lead role in "The Hobbit." "Apparently, we're in the early stages of talks between CAA and the producers of 'The Hobbit' film for Tobey to topline the film as Bilbo Baggins!" the CAA source told Latino Review. "Again, right now it's that – just dialogue taking place between the respective parties. Tobey hasn't been cast and an offer hasn't been made. It's just talks," the source continued. While it is possible Maguire still may be offered (or may read for) the role of the younger version of the character played by Ian Holm in the "Lord of the Rings" films, Tobey told Access Hollywood he has not had any discussions with the filmmakers even though he was well aware of the story circulating on the Web. "Somebody actually sent me that link that said that I had a conversation with the director and it was just not true," Tobey said of the online buzz. "I was wondering if maybe there was a miscommunication, I was talking about another director or something." While Tobey is set to return and star in "Spiderman 4" (and possibly 5 and 6 as well), "The Hobbit" is expected to span the course of two separate films shot back to back. Both "Spiderman 4" and "The Hobbit" are scheduled to begin filming next year.